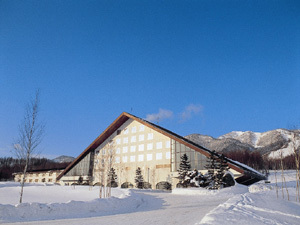 Furano Prince Hotel is a relaxing resort hotel harmonized with the nature of Furano. The hotel is boasting 112 guest rooms, superb amenities, furnishings, bath facilities and brand new interior. It is able to enjoy skiing in winter and many out door sports such as golf and tennis throughout the year. It is also the best base for sightseeing to Daisetsuzan National Park. The restaurant boasts the magnificent views from a large three-cornered picture window and a luxurious chandelier. 10 minutes by taxi from JR Furano Station. 10 minutes on bus from JR Furano Station bound for Shin Furano Prince Hotel and get off at the last stop.